One of the frustrations of the internet is how scattered much of the information can be. There's no easy way to search through, say, oral histories. You just have to find individual collections, and begin to browse, in the hope that something valuable will turn up. The same is sort of true with ebooks. There is an enormous amount of content available in ebooks -- millions of volumes! -- but no easy way to search through them. Google Books comes closest, and Amazon has some good inside-the-book search cabailities, but...isn't there anything more? Try Anacleto. This search engine plumbs the depth of content at Project Gutenberg's ebooks. There are about 100,000 books here -- not huge, by internet standards. However, many of these are older, non-fiction books that include tidbits of family history. 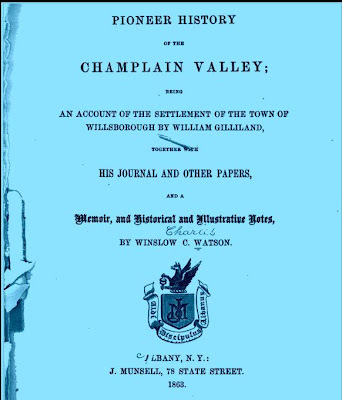 You can find slave narratives, biographies, Indian (Native American) records, historical accounts, correspondence, newspaper records, academic studies, personal journals, government reports, and many other types of materials that can include information about your ancestors, the places and the times in which they lived. Anacleto is just a quick stop. Visit it, search on family names, and other topics of interest, and see what pops up. You may be pleasantly surprised. Use the Advanced Search feature (they call it Qualified Search) to fine tune results. You can specify the format you want, including sound, video and image files, along with whatever types of text you'd like to access. By the way, Gutenberg has its own full-text search feature, but I find that it rarely works well. I much prefer Anacleto. Visit the main page of Free Genealogical Tools for more, umm, free genealogical tools.